I’ve added more than two dozen new printable time card designs to PrintableTimeCards.com, so there are now 211 templates for business owners, freelancers, volunteers, or anyone else tracking hours. There is a free version of each of the time cards. You’ll find new daily, weekly, biweekly, semi-monthly, and monthly time cards along with specialty cards for atypical cases such as: morning-, afternoon- and evening-only schedules. There are also new bi-weekly and semi-monthly cards that track work time by the hour, plus cards that show half-hour intervals. Also check out the six-month and yearly time cards. The new project time cards at PrintableTimeCards.com cover entire teams. 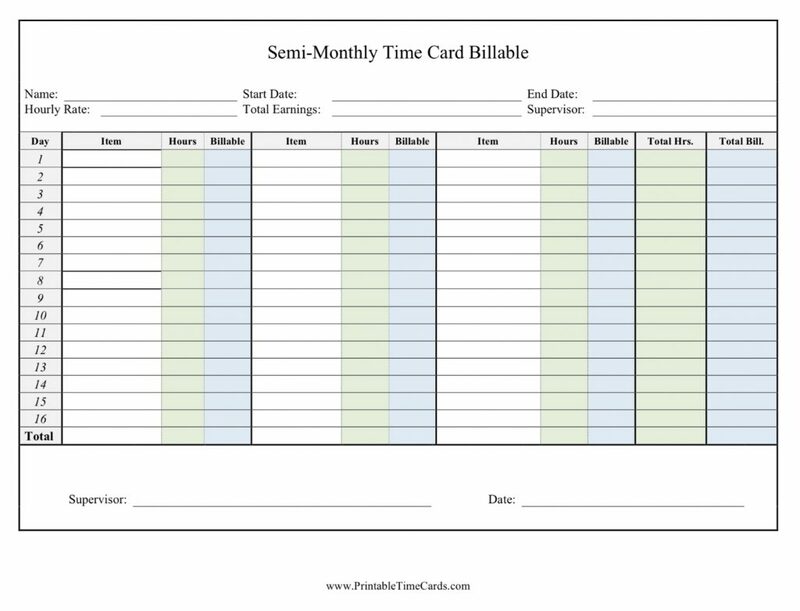 I’ve also added: a crew time card, a service industry card, a tutor time tracker, and cards that break down billable versus non-billable hours. The site now has tall, narrow cards that are compatible with commercial time clocks. Print them onto cardstock and trim them so they will fit into the machine. The PDF versions are free to print out and write on by hand. Or, download an editable DOC (Microsoft Word) version is just $7. For other variations and more complex, flexible time sheets that perform calculations, visit PrintableTimeSheets.net.